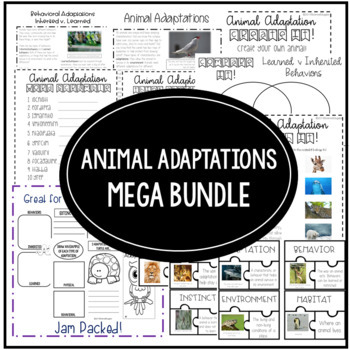 Included in this product are three resources covering animal adaptations! 2 vocabulary jigsaw puzzles: Students match the vocabulary word to the correct picture and definition. Word Scramble: A fun activity where students unscramble the 12 vocabulary words. 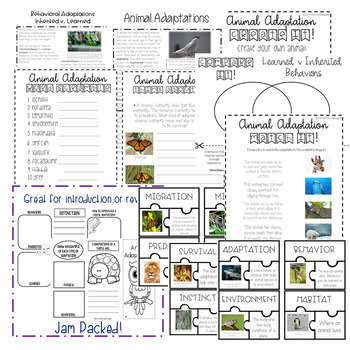 Match It: Students match animals and adaptations and then pick their own animal and list its adaptations. Think About It : Students are given a small passage and must respond. SO MUCH FUN! Perfect for introduction or review.